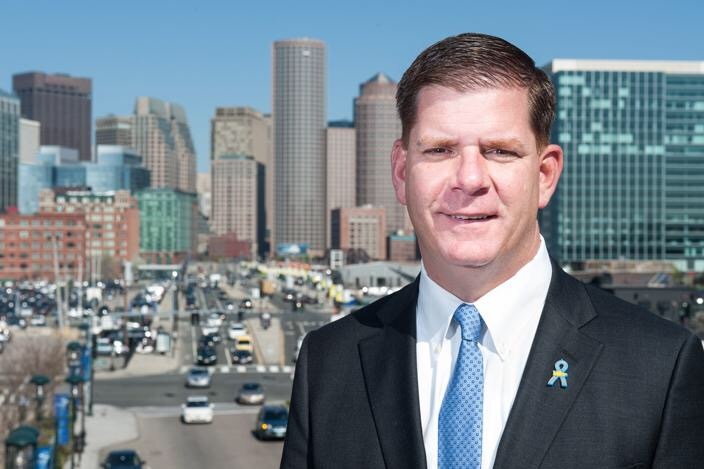 BOSTON – Monday, September 12, 2016 – First launched in July, Mayor Martin J. Walsh will continue to host the city’s first Memory Cafe, “Thanks for the Memories,” this fall. The cafes are a partnership between the Elderly Commission’s Boston Alzheimer’s Initiative and The Grove Hall Center for Youth and Families, in addition to other community partners. Memory Cafes originated in the Netherlands in 1997 and have since spread to the UK, Australia and thirty-seven states across the US. They are places where individuals experiencing memory loss and their caretakers can meet in a safe, social environment to share resources and support one another. “I understand the toll Alzheimer’s takes on a family, and the love and patience that is required to care for someone with the disease. Memory cafes are one way Boston can help relieve the burden and provide additional support,” said Mayor Walsh. The first memory Cafe was held on July 11th. There were 20 people from across Boston in attendance and they participated in a painting class led by Dot Art, and refreshments donated by the Haley House, Target South Bay and Grove Hall Stop and Shop. Others engaged in conversation, talking about their experiences living with Alzheimer’s or taking care of someone with Alzheimer’s and shared advice and support. The August cafe attracted more residents and featured an art activity guided by Friendship Works and presentations by the Boston Alzheimer’s Initiative, The Boston University Alzheimer’s Disease Center, Boston Elder Info and Caregiver Homes. On September 12th the theme of the café is “Meet Me at the Grove Hall BCYF Senior Center and Make Memories.” Participants will enjoy classic film clips and engage in discussion led by The I’m Still Here Foundation. The mission of the foundation is to develop and evaluate innovative, non-pharmacological approaches to helping people with cognitive challenges. The focus in on implementing inclusive community-based arts and culture programming such as the event planned for the September 12th café. In 2014 it was estimated that 10,000 Bostonians were grappling with Alzheimer’s and other dementias. As the population of older adults in Boston continues to grow, more support is required to effectively respond to their needs -including emotional and social needs. Caring for loved ones experiencing dementia can be especially draining on caretakers, and programs like Memory Cafes are a place where caretakers will be able to get support and resources. The Grove Hall Memory Cafe will meet monthly on the first Monday of the month, except when the Center is closed for City of Boston Holidays. On those days, the Cafe will resume on the following Monday. Future cafe’s will include art, music, featured speakers and trips to museums and movies in partnership with The l’m Still Here Foundation. The first Monday of every month, 11:30 a.m. – 1:30 p.m.
MHS/MVTHS ATHLETES PARTICIPATE IN CONCUSSION AWARENESS WEEK!